Delhi is well known for its street food. 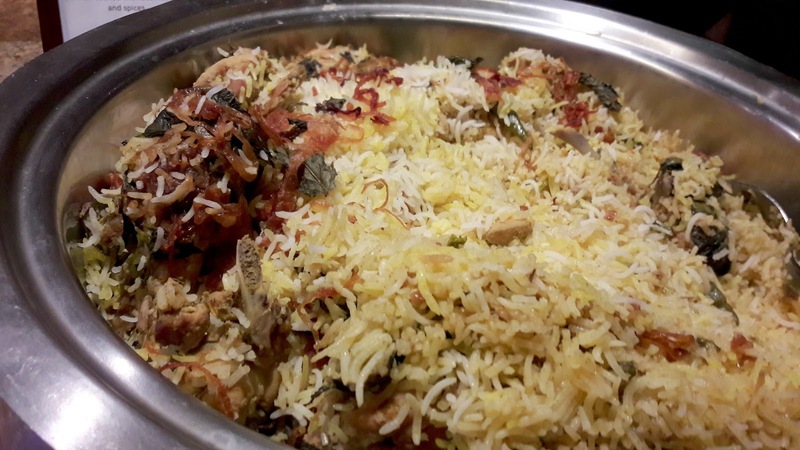 There's parathas of all shapes and fillings, layered or plain, tikkis and meaty kebabs, rich curries and of course, the sweets. No trip to Delhi is ever complete without a trip to one of the street food hubs or iconic restaurants located in the Old Delhi area. No trip to the country's capital in your foreseeable future? Do not despair - Chef Anil Khurana, Corporate Indian Chef of Hyatt Regency has taken up residence in Chennai, though only for a few days. 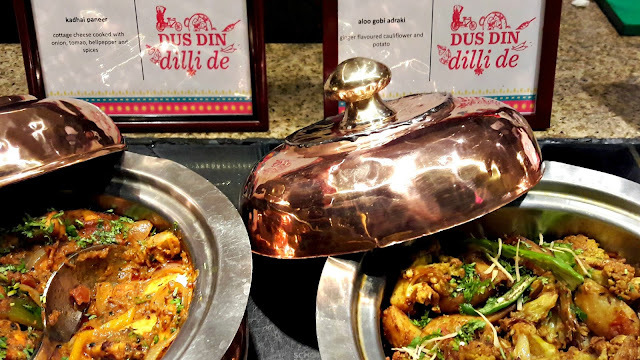 A little bird told me he's brought with him a whole lot of ingredients and spices just so we get to taste the same flavours of Delhi's celebrated street food at the Dus Din Dilli De festival at Spice Haat, Hyatt Regency Chennai. Kites, flowers and buntings for the occasion! 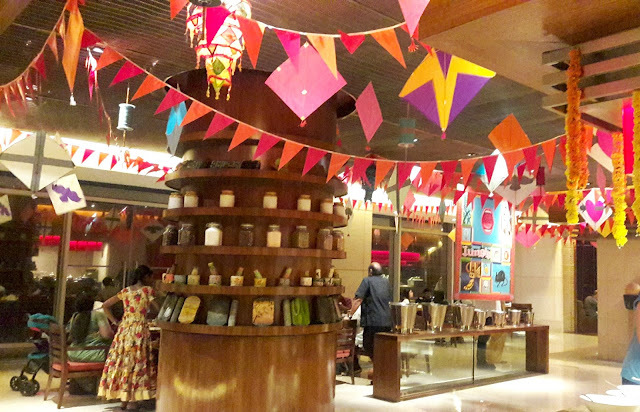 As you enter Spice Haat, a line of chaat stalls is what grabs your attention. And there's the genial Master Chef himself. One minute we are shaking hands and the next, he has put together a plate of dahi bhalla papdi chaat for me. All sorts of textures and flavours - soft dahi bhallas, crisp papdi, the crunch of pomegranate arils, juicy strips of ginger, a perfect mix of sweetness, tang and salt run riot in my mouth. 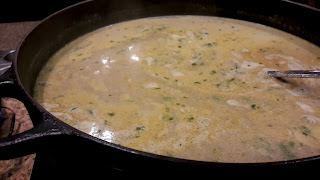 Then he dips a golgappa into a pot of buttermilk-based pani - so deliciously different from the usual tamarind-based one! 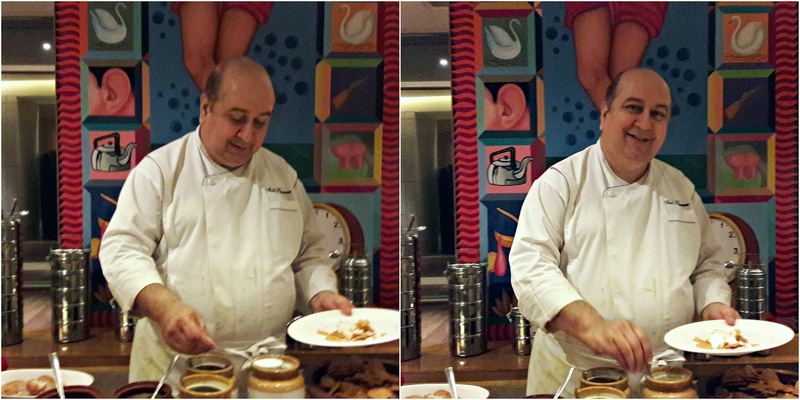 And there he is - plating up a freshly fried poori with a potato gravy and pumpkin mash. You simply have to taste this awesome combination! Chef Khurana's food is like his energy - stunning! We were a large group who had been invited to review the festival and as we took our seats, platters of tikkas and kebabs were brought around. Both the boti kebab (lamb) and murgh afghani tikka (chicken) were delightful. The lamb in particular almost melted in the mouth. 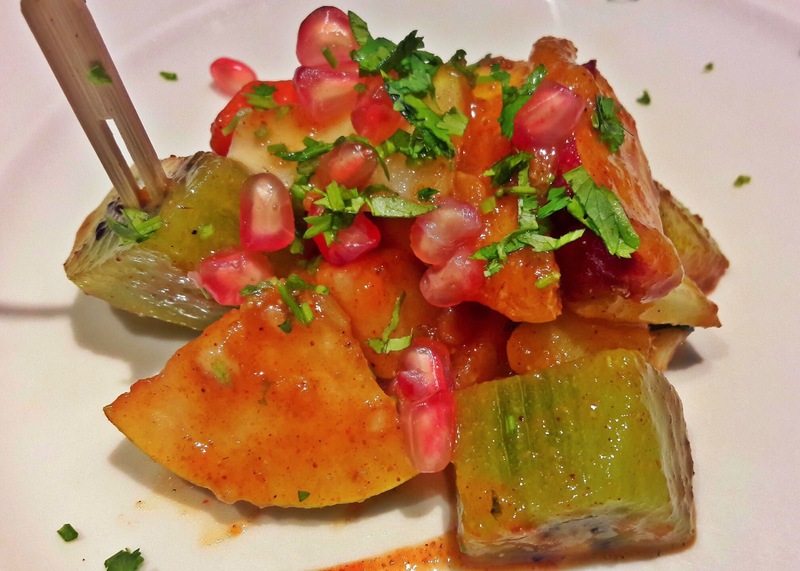 The kebab masalas were not overpowering and it was the perfect balance of meat and spice. There was also tawa fish tikka made of basa. The paneer kesari tikka, mildly flavoured with saffron, was enjoyable, a softer paneer would have made the experience even more enjoyable. 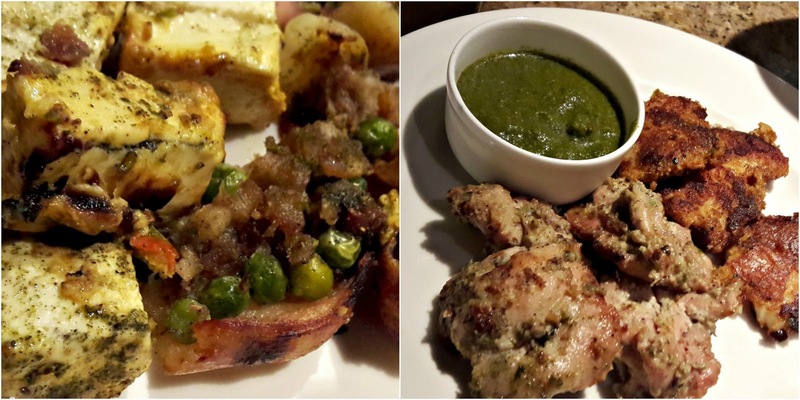 All the kebabs were served with onions and mint chutney. There are about 10 specials on the buffet counters, the selection changes every day. What appealed most to me were the fabulous colours of the vegetarian sides, if the essence of Delhi street food could be plated, this is what it would look like. Aloo gobi adraki with bits of heat from the ginger was fabulous and perfect with the selection of Indian breads. Methi malai mutter, thickened with cream and ground cashewnuts was also outstanding Other diners raved about the baingan ka bharta, the masala was thick and tangy with tomatoes and onions. 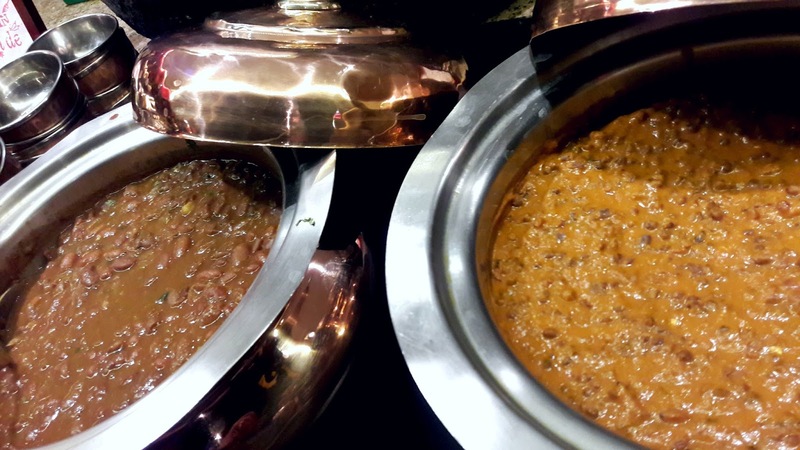 We all agreed there was something special about the rajma - it tasted like what you would make at home and no wonder it's everyone's comfort food! Mutton husaini korma and the chicken biryani were absolutely delish (didn't try vegetable biryani). The chicken was lightly spiced and aromatic. Save some space for dessert - they are totally worth it, starting with moong dal halwa. 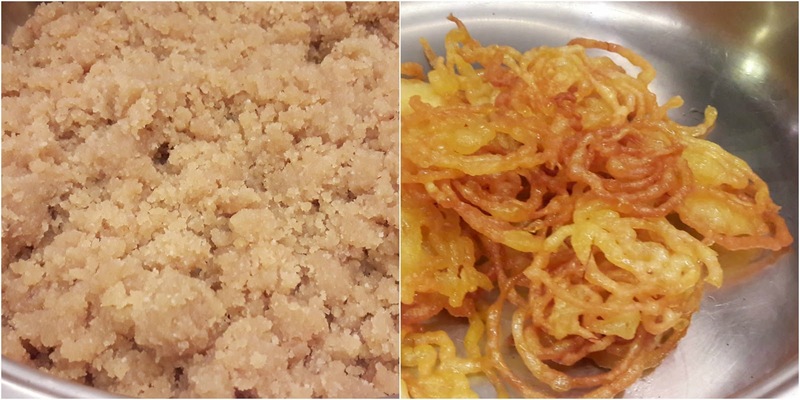 The slightly grainy texture, mellow taste of ghee and mild sweetness will convert even halwa haters into life-long fans! So also the freshly-made jalebi with rabri (awesome). 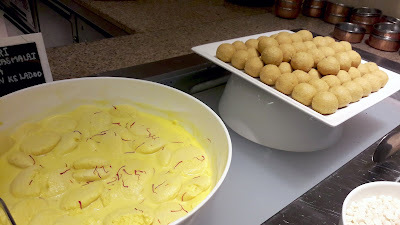 Equally awesome are the spongy kesari rasamalai and besan ke ladoo. 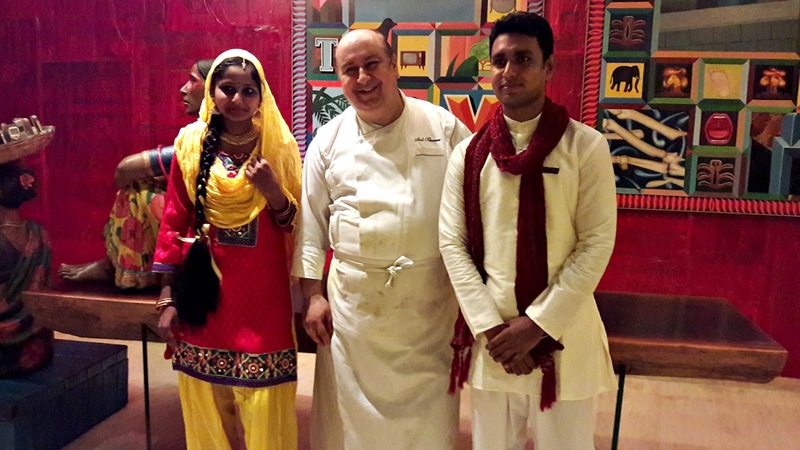 Dus Din Dilli De is on till May 28th, from 7 pm - 11.30 pm at 1450/++ per head. 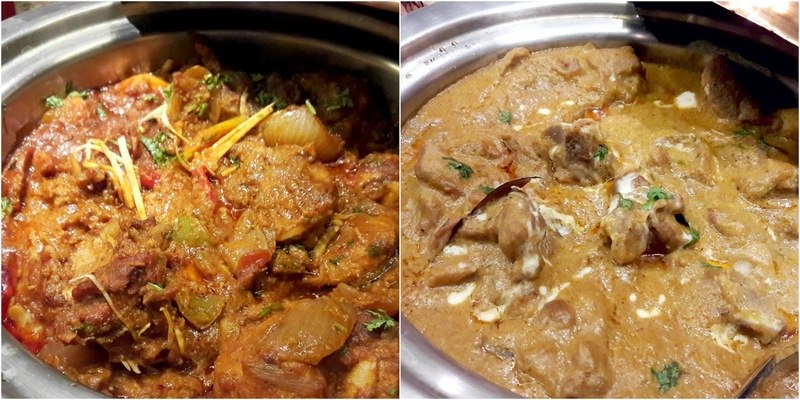 For reservations, do call +91 44 61001234.